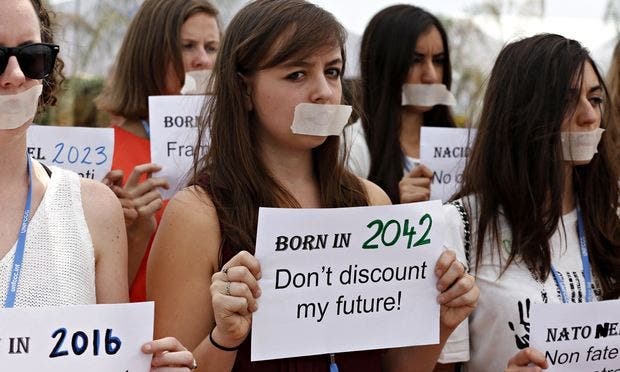 This month, a silent drama unfolded in Peru’s capital, Lima: representatives of UN countries have debated for two weeks in an attempt to negotiate ways to stop climate change without harming the world economy, especially that of lesser developed countries. While all parties agreed that there needs to be a strong, quick and equitable framework for climate change, no actual measures were taken, and no definite lines were drawn. 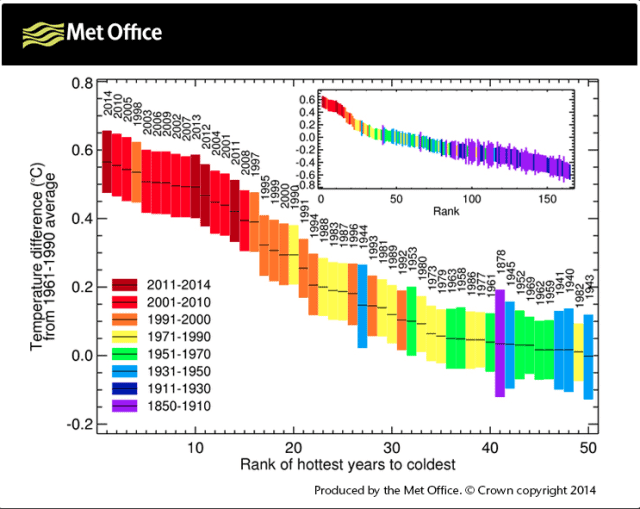 Global annual average temperatures, ranked from warmest (left) to coldest (right). Image via UK Met lab. I should have expected this. No doubt, we really should have all expected this – instead of actually facing the real problems and clearing out the road blocks against a reasonable action plan, the Lima talks just delayed potential solutions. The two weeks discussions lasted for 30 hours more than was expected, as diplomats tried to find a balance between richer countries who got rich burning fuels, and developing countries who want cheap energy now. It wasn’t supposed to be like this. There was a wave of optimism coming into the Lima talks, as the two biggest polluters, China and the US seemed to have finally worked out their differences and agreed to phase off carbon from their economies. China has been surprisingly focused on sustainable energy – despite huge amounts of pollution, the country has taken leaps forward; most notably China reported a drop in coal consumption for the first time this century. Meanwhile, the US has had some steps forward and some steps back (most notably with the natural gas emissions, but all in all, there seemed to be some solid ground for an agreement. The other big player, the European Union already voted to reduce carbon emissions by 40 percent by 2030. 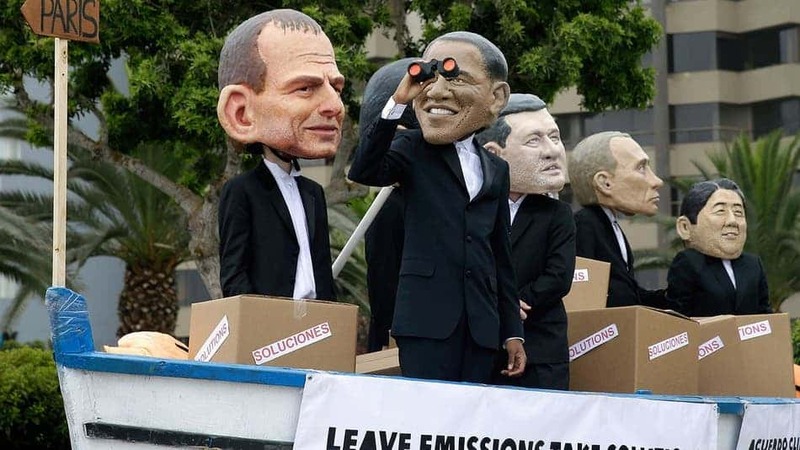 Environmental activists in a mock boat perform wearing puppet heads representing leaders, from left, Australia’s Prime Minister Tony Abbott, President Barak Obama, Canada’s Prime Minister Stephen Harper, Russia’s President Vladimir Putin and Japan’s Prime Minister Shinzo Abe during the Climate Change Conference COP20 in Lima Peru, Friday, Dec. 12, 2014. Image credits: Martin Mejia, AP. But despite all this promise, not much was decided. The five-page decision only describes the elements nations “may” report to demonstrate their commitment to limit emissions – the initial version used the word “shall” instead of “may” – which indicated that countries have to do that – whereas now, they can simply choose not to. Nothing was enforced. Countries on islands insist that all big polluters have to reduce emissions as soon as possible – they are especially worried that rising sea levels will flood their islands, something which we are already starting to notice. Activists were disappointed by the results of the talks, while government officials praised the results. In truth, not much was achieved, though a clear stage was set for the Paris talks in 2015. Image via The Guardian. It’s not that the talks in Lima haven’t amounted to anything – you can’t really say that. The biggest step forward is that for the first time, we have talks about “differentiated responsibilities”. Coal-dependent South Africa has joined in, promising to stop increasing emissions by 2025, and Brazil has promised to dramatically slow down deforestation. But this is basically what it came down to – representatives have promised to do things, and to plan it down in Pars, in 2015. Just like they planned to do it this year in Lima. Meanwhile, officials are busy overstating the achievement, to try to maintain some momentum. Energy Secretary Ed Davey for example, hailed “an agreement that unites all nations, unlocking the door to the world’s first global climate deal in Paris next year”, while the UN’s head of the negotiations, Christiana Figueres, spoke of “a very important breakthrough”. Environmental groups, on the other hand are disappointed by the results Friends of the Earth called the result “a step backwards”, and Christian Aid denounced a “shambles”. In truth, discussions have failed. We are “on track” for next year in Paris, but practically, nothing much has changed. People who were hoping for a breakthrough will be disappointed, while people who weren’t expecting anything will have a slight pleasant surprise. “Although the EU wanted a more ambitious outcome from Lima, we believe we are on track to agree to a global deal in Paris next year,” Canete said after the Lima decision was reached. The tension continues to build up as the world is waiting for the planet’s real problems to make their way into the political agenda. That decision may or may not take shape in Paris – I guess we’re just going to have to wait and see.